Today’s the last day of September but the awareness shouldn’t stop. There were a number of ways to get involved and spread awareness. 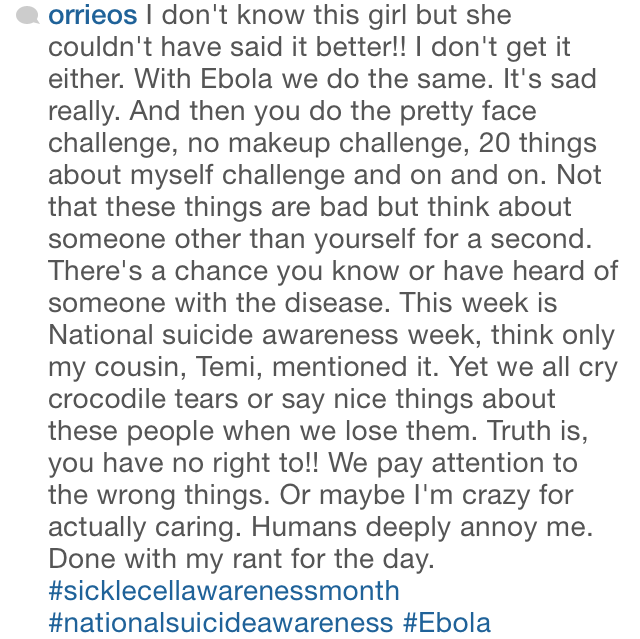 I did the #boldlipforsicklecell a couple of times on Instagram. 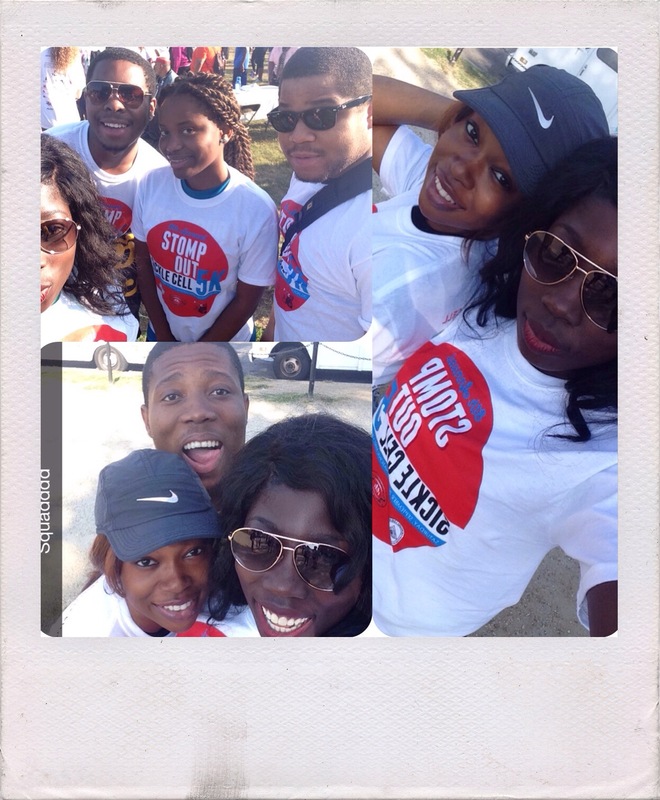 On Saturday, September 20th, a group of me and my brother’s friends joined in the Stomp Out Sickle Cell 5k walk in DC. I saw this post (below) on Instagram and just had to share. 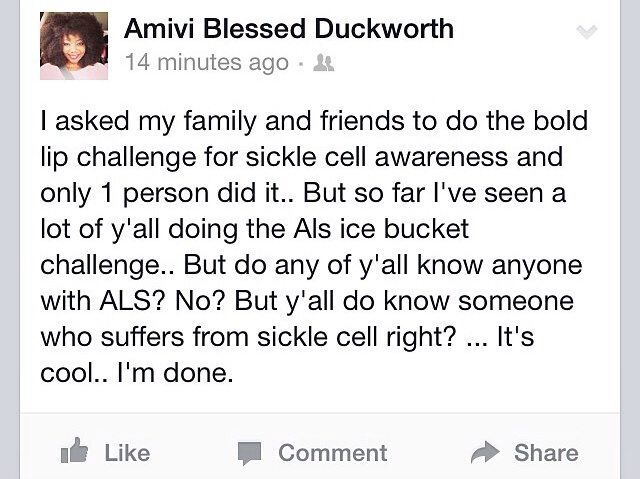 It’s so sad that some people would rather follow a trend than do something that can actually make a difference (not saying people shouldn’t support ALS). Next month everyone will join the pink for breast cancer awareness bandwagon and no one gave a crap about Ebola until it was said to be in America.